The wraps have come off the Perodua Myvi XT – a new variant of the company’s wildly successful supermini (the best-selling car in Malaysia for eight years in a row, peaking at around 99,000 units last year) – at the Perdanasiswa Complex at Universiti Malaya this evening. It’s a fitting location, actually, given the demographic Perodua undoubtedly designed this car for. The new trim level replaces the current base model, adding up to RM1,600 worth of extra equipment for the same price. New to the XT is the grille, which now has a second chrome bar running across. 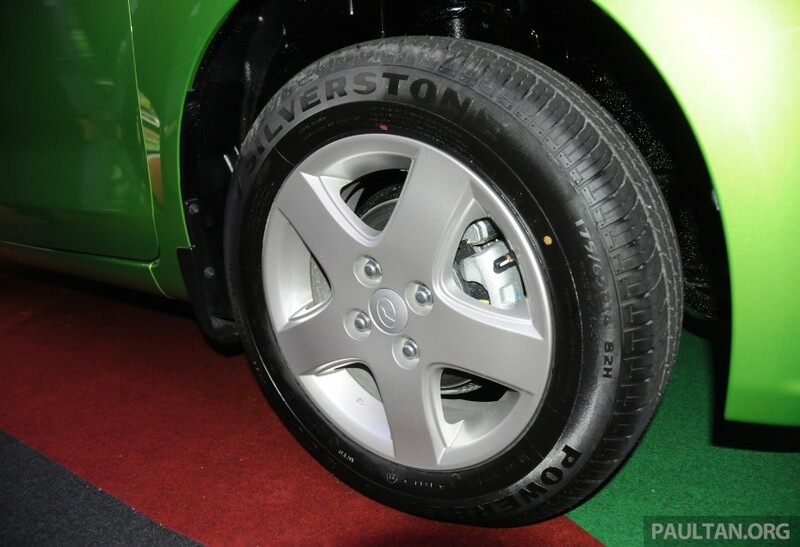 There are also 14-inch alloy wheels in a five-spoke design last used on the facelifted previous-generation Myvi. They replace the steel wheels with plastic hubcaps combination of the previous entry-level variant. 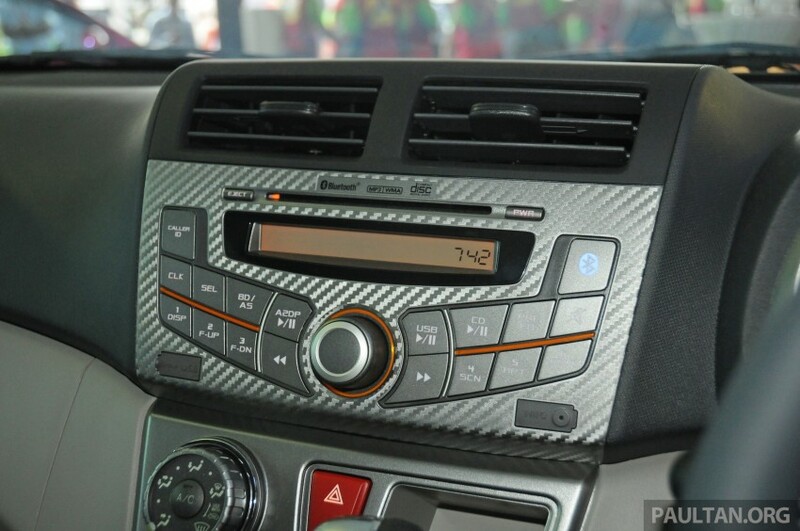 Inside, the seat fabric features a new pattern, while the head unit gains Bluetooth connectivity from the more expensive 1.3 SE but keeps its amber illumination. Also new are the instrument panel surround, the centre console and head unit trim as well as the trim on the door grabs, which are now painted silver. They certainly look better than the plain plastic trim used before, that’s for sure. The mechanicals have been left alone, so under the bonnet remains the K3-VE 1.3 litre DVVT four-cylinder engine making 90 hp at 6,000 rpm and 117 Nm at 4,400 rpm. The two transmission options – a five-speed manual and a four-speed automatic – have also been retained. No changes to the safety equipment, either, so you get dual airbags but no ABS. Buyers can choose from five colour choices, including two metallic finishes unique to the XT. 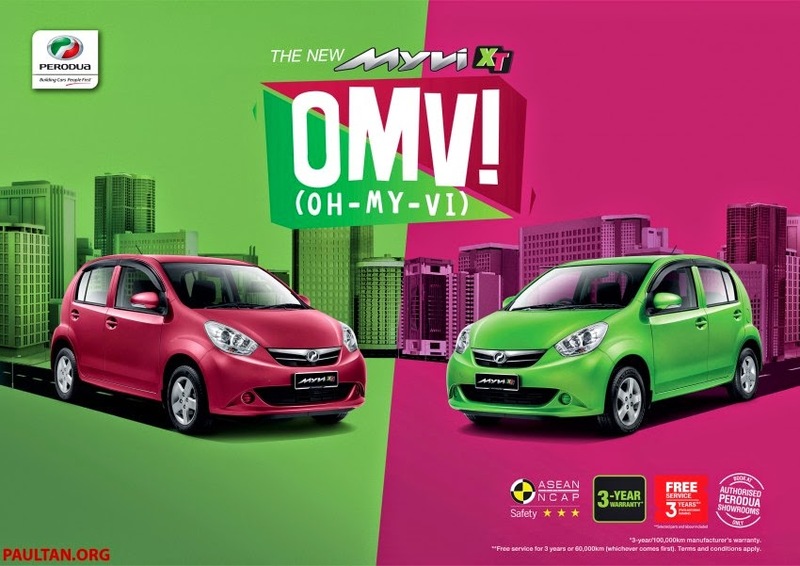 Lime Green is a new colour, while the other, Dazzling Red, was used on the previous-generation Myvi Limited Edition. 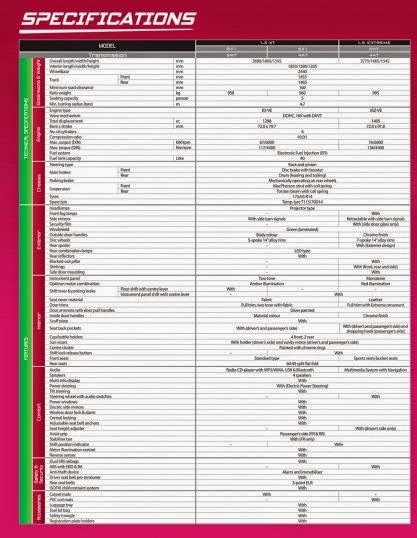 Prices for the Perodua Myvi XT are as such: RM41,936 for the manual (RM42,436 metallic) and RM44,936 for the automatic (RM45,436 metallic), exactly the same as the previous base models they now replace. 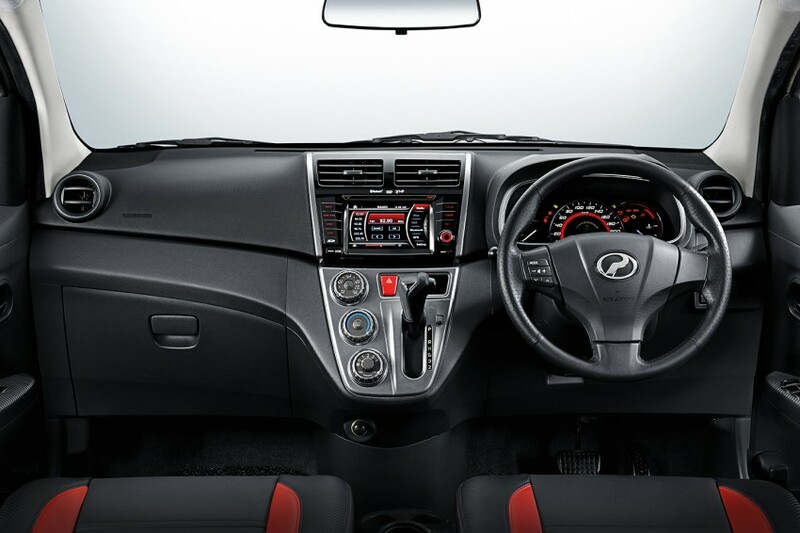 Perodua has also unveiled a revised version of the Myvi 1.5 Extreme, which gets new coil mats, a solar and security window tint film, a new design for the leather seat covers as well as red illumination for the multimedia controls. All these extra features, worth up to RM1,000, are thrown in at no extra cost, so prices for the automatic remain at RM61,240, or RM61,740 with metallic paint. The manual Extreme variant has been quietly discontinued. As with all new Peroduas, the new Myvi variants come with a three-year/100,000 km manufacturer’s warranty, with an option of a two-year/50,000 extended warranty package. A three-year/60,000 km free service package is also included. The company also took advantage of the academic venue to reintroduce its “What’s Up! Graduate” scheme, enabling fresh graduates (up to one year after graduation) as well as current university and college students to purchase a Perodua more easily. 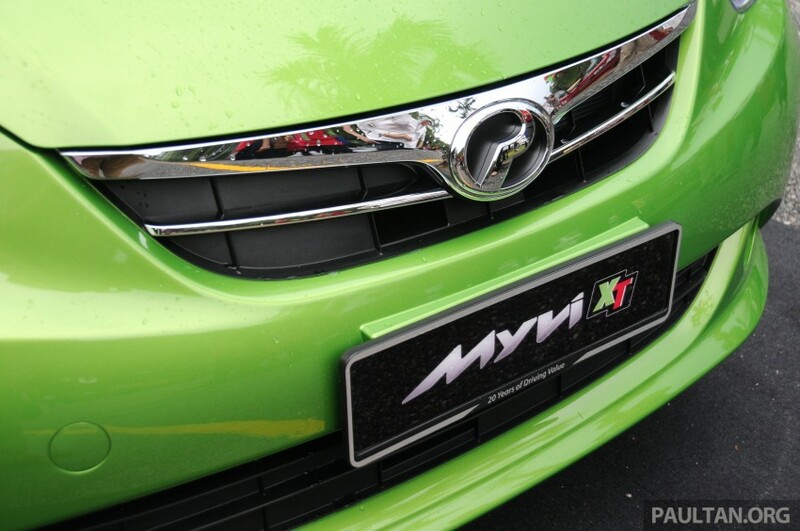 The company offers a RM500 voucher (for use on Perodua accessories and/or servicing), a RM500 petrol card as well as a complimentary one-year RM20,000 personal accident policy coverage. The offer is available for all Perodua models, from now until December 31 2014.